First off, thanks to everyone who entered to attend our TRON: Legacy screening, and special thanks to IMAX and Disney for making it a reality. It was one of our most popular screenings by far, and I’m glad we were able to help not only bring the movie back to the biggest screen possible, but to show it in laser-projected IMAX. Director Joseph Kosinski was good enough to join us for a Q&A after the movie, and before he took questions from the audience, he spoke to Steve Weintraub about the status of TRON 3. 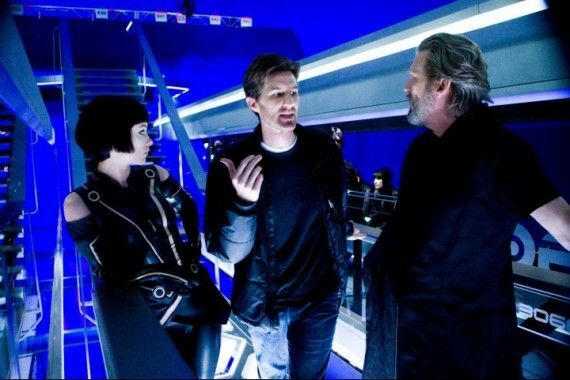 Back in 2015, it looked like Disney was gearing up to make another TRON sequel, tentatively titled TRON: Ascension, which would be directed by Kosinski and bring back Legacy stars Garrett Hedlund and Olivia Wilde. The film was to take place in the real world, and it looked like everything was coming together, but then Disney decided to pull the plug. JOSEPH KOSINSKI: I guess I can say that TRON 3 is in cryogenic freeze. So, it’s there. It’s not dead. It’s alive, but it’s sitting there, waiting for the right time to move forward. 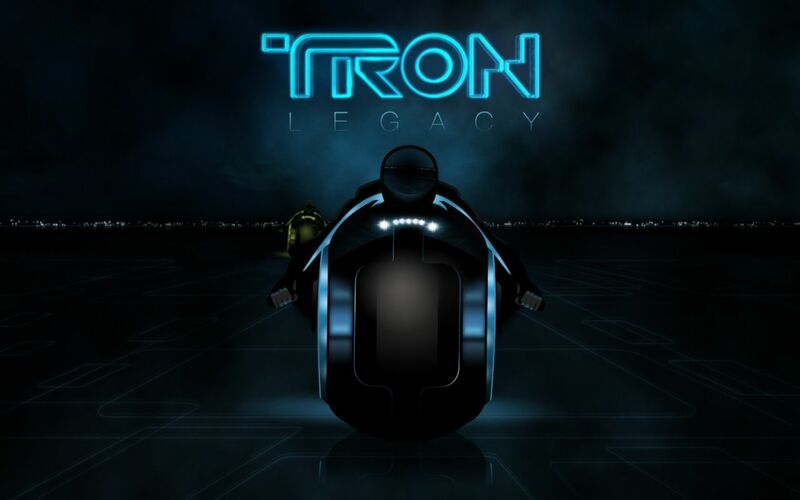 I mean, you have to remember that when we made TRON: Legacy, Disney did not own Marvel. Disney did not own Lucasfilm…they own everything now. But this was before they owned everything, so from the studio point of view, they have a certain number of slots and a certain amount of money to make movies and if you can make a Star Wars spinoff or another Marvel movie, which are all doing incredibly well, a TRON movie, even though I think it would do very well, the question is: Would it do as well as one of those? That is more the reason we haven’t seen another TRON is that Disney stock is flushed with really successful properties right now. But that doesn’t mean we won’t see one at one point. It’s also worth pointing out that merchandise matters, and to be blunt, TRON: Legacy didn’t move a lot of merchandise. Again, if you’re Disney, and you’re trying to maximize profits, you want to spend your money on a Marvel movie or a Star Wars movie, because not only are you guaranteed a good return at the box office, but you’re also going to sell a lot of toys, clothes, etc. If you make a TRON sequel and no one shows up, you not only have a flop, but you also have a lot of unsold merchandise. The upside of TRON is that Disney owns it completely, and doesn’t have to split profits with other companies like they do with something like Pirates of the Caribbean. That being said, the film still needs to be a hit, and while TRON certainly has its fans, it’s still a risk. KOSINSKI: It definitely doesn’t have to be on a movie screen. I don’t know if you saw the TRON ride, which opened in Shanghai and was amazing…I think the TRON franchise is alive in rides and I think there’s still interest in exploring other things like VR, but as far as the TV show, I don’t know, I think that would be tough. As you saw on screen, so much of the world has to be created digitally. You can’t just go and film a TRON movie, or at least the TRON side of it, so I don’t know. I would never say never. There’s possibly a version of that, but that’s up to Disney. KOSINSKI: The movie was called, “TRON: Ascension”, I think that’s out there. I think we got the script to about 80%. We were in good shape. We were probably eight or nine months out, which is still a good amount of distance from being ready to shoot it, but I think the script was in good shape. What I’m excited about is the concept, which is an invasion movie from inside the machine coming out as opposed to one we’ve usually seen. So we hinted at that at the end of Legacy with Quorra coming out, but the idea for Ascension was a movie that was, the first act was in the real world, the second act was in the world of TRON, or multiple worlds of TRON, and the third act was totally in the real world. And I think that really opens up, blows open the concept of TRON in a way that would be thrilling to see on screen. But there’s also a really interesting character study in Quorra and a “Stranger in a Strange Land,” trying to figure out where she belongs having lived in the real world for a few years, and where does she fit in. KOSINSKI: I don’t see them having superpowers. I don’t see them being able to shoot lasers from their eyes or do what I would consider to be a superhero-type movie. But in her DNA itself, her being the first digital-human hybrid, there’s something in her being that allows objects from inside the Grid to exist in the real world and makes them permanent, so that was the idea. So I think the idea is strong, it’s just a matter of the right time and the right place and the stars aligning as they have to do for movies. What do you think of Kosinski’s idea for a third TRON movie? Would you give TRON: Ascension a shot? What’s the best way forward for the TRON franchise? Sound off in the comments section. Look for Steve’s almost hour long conversation with Kosinski in the coming days.